Set aside the tentacles and wings to chop up and use as stuffing. Next fry a large Spanish onion (diced up) with about 1/3 cup of olive oil over medium heat until golden, then add in 2 chopped cloves of garlic and 2 bay leaves. 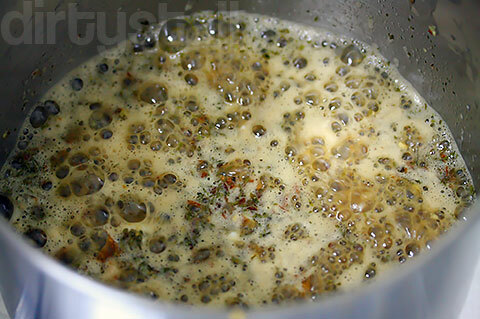 After about 5 mins, sieve out the oil and return it to the pan. 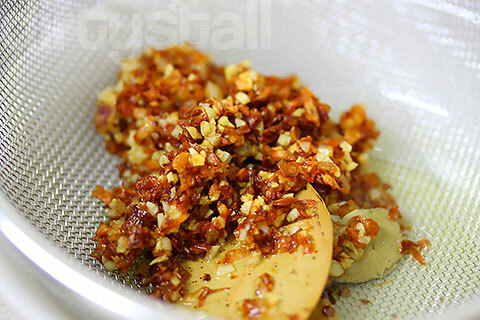 Turn up the heat to high and fry the chopped squid parts quickly, then add 100ml of fino sherry. Return to the pan the onion mixture that was sieved out together with a bunch of chopped parsley. We boil the mixture down until it thickens and the smell of the alcohol is gone. 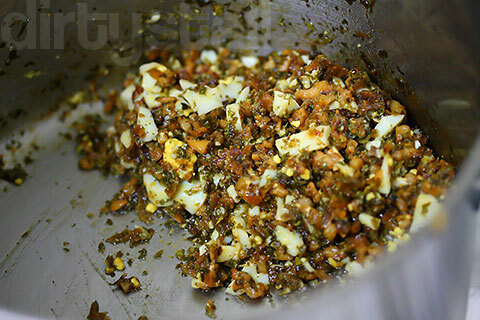 Then we add 2 chopped boiled eggs and another bunch of chopped parsley, correct for salt and mix well. 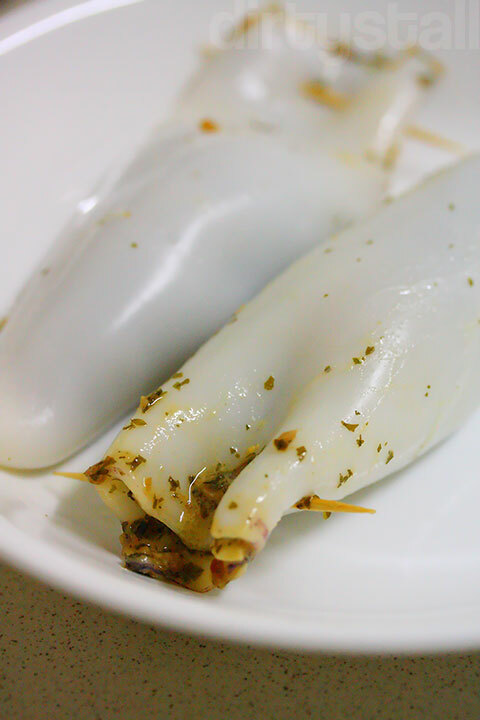 And now we stuff the squids to about 2/3 full since they will shrink on cooking. Toothpicks are used to secure and close the openings. 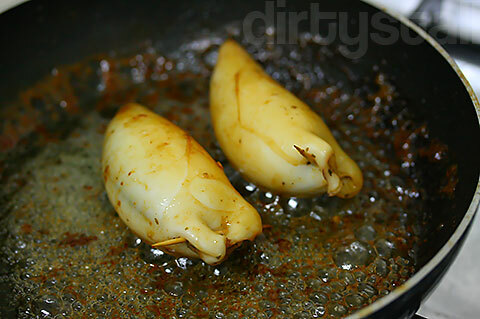 Heat up another 1/3 cup of olive oil, brown the squid on all sides lightly, then add 100ml of fino sherry and 50ml of water. 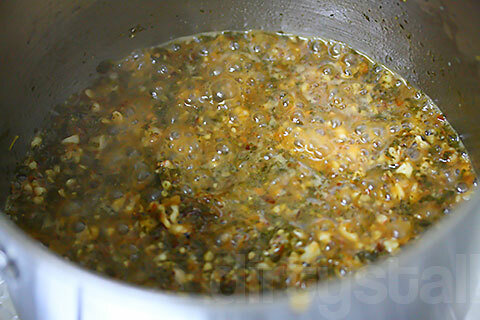 Cook and simmer until all the alcohol has been burnt off and the sauce has thickened. Served with steamed basmati rice flavoured with some turmeric powder and coriander seeds. 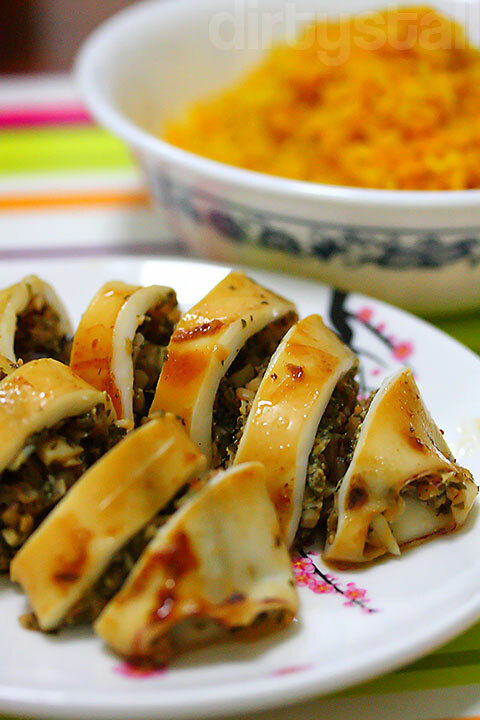 4 Responses to "Calamares rellenos de Carlos"
Wow looks very good. 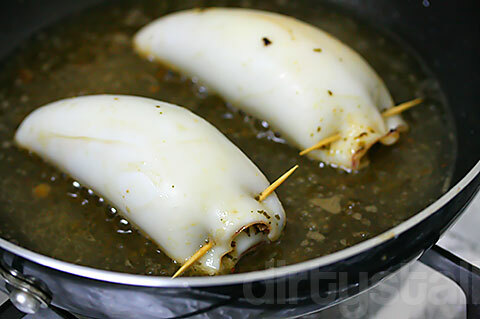 My squid usually release a lot of liquid when done this way and the sauce either won’t thicken or the squid becomes to tough. Any advice? Hmm I’m not too sure, maybe it released a lot of liquid because you cooked it too long? 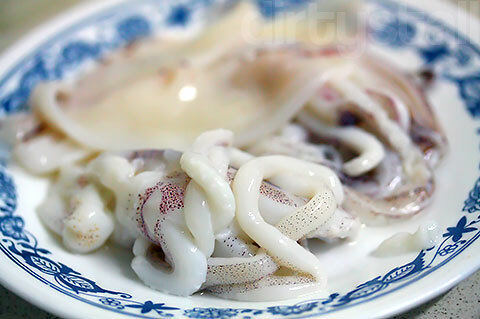 I didn’t cook for that long and I further reduced the sauce with the squid out of the pan. So maybe you can try that too.